Tamil Nadu, literally translating to the ‘Land of the Tamils’ is one of the southernmost states of India. 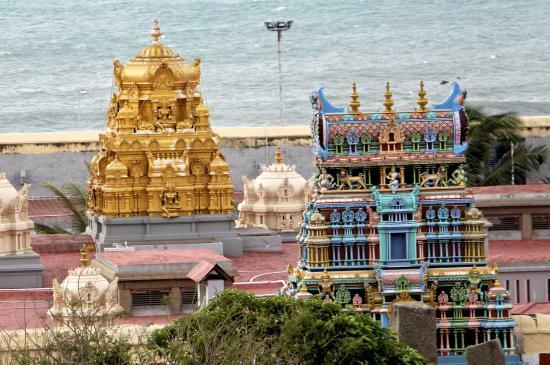 Apart from the over the top cinema and Rajni Anna, Tamil Nadu is also known for its numerous Hindu temples. These ancient temples were built by different kings in different time periods. A visit to these temples would give you a trip to the ancient Hindu architecture and its magnificent temples and sculptures. 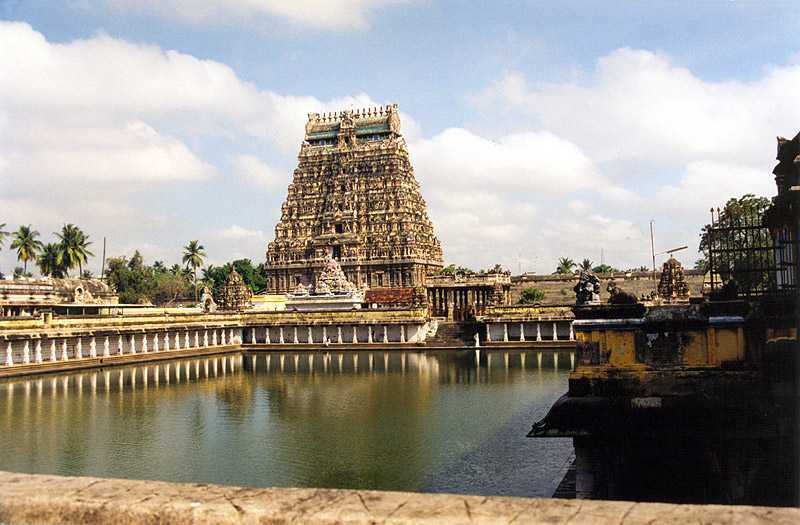 Following are 15 famous temples to visit in Tamil Nadu. 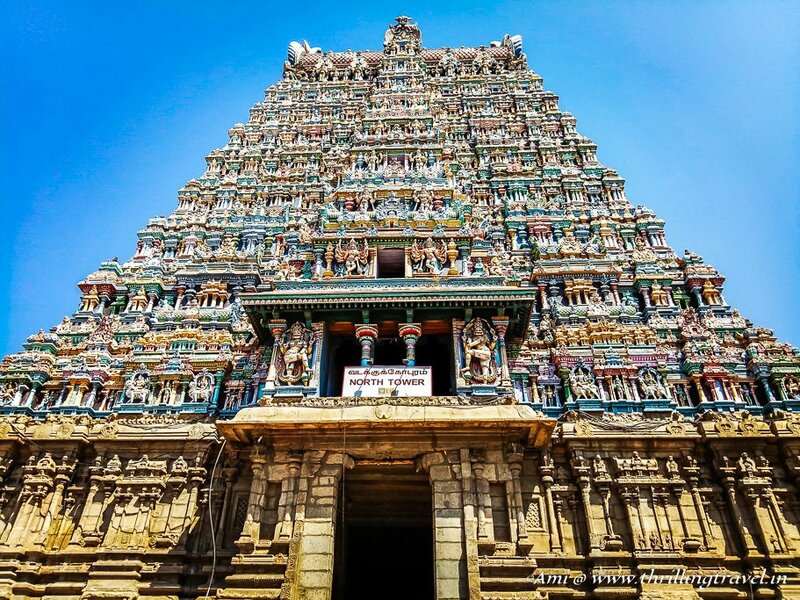 Located in Madurai, the temple was built in the 14th century and later rebuilt in the 17th century. The temple is devoted to goddess Meenakshi who is a form of Goddess Parvati. The temple has a huge complex with 4 outer towers welcoming pilgrims from all four directions. There are a number of different enclosures housing different monuments. The complex is guarded by high walls and entrance only through the tower gates. Being built in the early 8th century under the Pallava dynasty. It is one of the most famous pilgrimages. The temple is dedicated to Lord Shiva and is one of the oldest temples still intact. The temple is carved entirely out of sandstone and black granite for the sculptures. The temple has 58 different Shiva shrines throughout with goddess Parvati. This temple also encloses sculptures of some of the Pallava kings. Same as a number of temples, this temple is also dedicated to Lord Shiva. Located on the Srirangam island of Tamil Nadu, this is another temple built during the Chola Dynasty showcasing the Dravidian style of architecture. The temple is divided into 5 different enclosures, the main enclosure housing the Shiv Ling. Another temple on the Srirangam island of Tamil Nadu, this temple is spread over an area of about 150 acres with 49 sub-shrines and 21 beautifully planned and constructed gateways. This temple is dedicated to Lord Vishnu depicted as Lord Ranganathaswami lying on the five-headed serpent. The thousand pillar hall is a must see which leaves every visitor awestruck with its beautiful architecture and carvings of wars. One of the most important pilgrimages in Southern India, this temple attracts thousands of tourists and devotees every year. The temple dedicated to Lord Shiva came into being after Goddess Parvati Performed meditation under a sacred mango tree with a Shivling made of sand. Lord Shiva was impressed by this and appeared as Lord Ekambareswarar. The temple in its physical existence is said to have been built in the 600 AD with the structure being built in the 13th century. 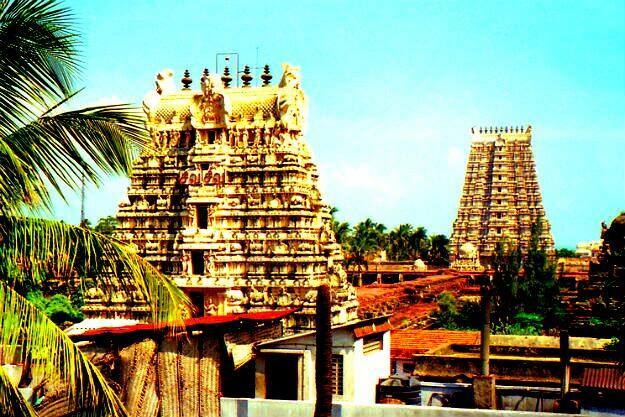 Residing on the serene island of Rameshwaram in Tamil Nadu, this temple is One of the ‘Char Dhams’ i.e. the 4 main pilgrimage destinations. It is said to have built by Lord Rama after returning from Lanka being feeling guilty for killing a man of immense knowledge, Ravana. The present buildings were built by the Pandya Rulers in the 12th century. Located in the Mylapore district of Chennai Tamil Nadu, this Shiva temple was built by the Pallava kings in the 7th century. The temple was later destroyed by the Portuguese and was later rebuilt in the 16th Century. 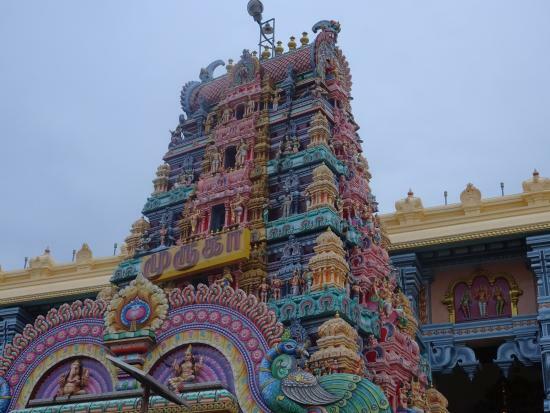 The temple is built in the Dravidian form of architecture with numerous pillars and sculptures all around. One of the largest temples in India, the Annamalaiyar temple is located at the base of Annamalai hills in the town of Thiruvannamalai in Tamil Nadu. The temple is dedicated to Lord Shiva and is a big pilgrimage for the Hindu sect of Saivism. It has the largest statue of Nandi throughout south India. 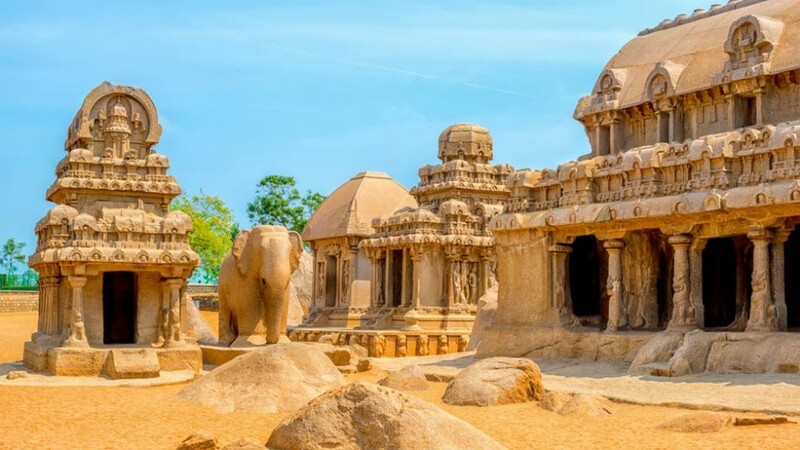 This is a collection of a number of temples in the coastal resort town of Mamallapuram, Tamil Nadu which were built between the 7th and the 8th century. The place is also called ‘The City Of The Ancient Temples’. The place houses over 400 Hindu sculptures, monuments, and artifacts and is labeled as a UNESCO World Heritage site. Located in the Kanyakumari district of Tamil Nadu, the temple is devoted to the Serpent King Vasuki. The temple is said to have been built after a girl hit a stone with her ax and it started oozing blood. Later the stone was found to be an idol of the Serpent king Vasuki and a temple was built at the place. The temple does not have elaborate architecture but a number of sculptures of different snake forms on the walls. This temple is dedicated to the Nataraja form of Lord Shiva. Nataraja form refers to the form of Shiva as a Cosmic Dancer. This dance was named as Nadanda or Tandav depending upon Shiva’s mood. These dances decided the fate of the humans on earth. The temple was made in the 11th century during the Pallava Dynasty with the Gold roof being built during the Chola Dynasty. The temple is a great example of the early Hindu architecture and sculptures. 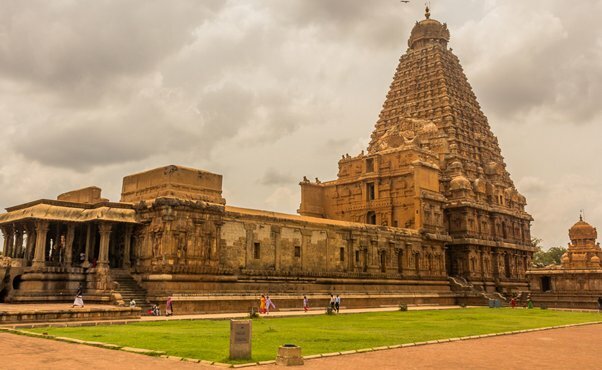 Built in 2007, this temple is a must visit when you travel to Tamil Nadu and it has been the top place in the itinerary for tourists in the past ten years. 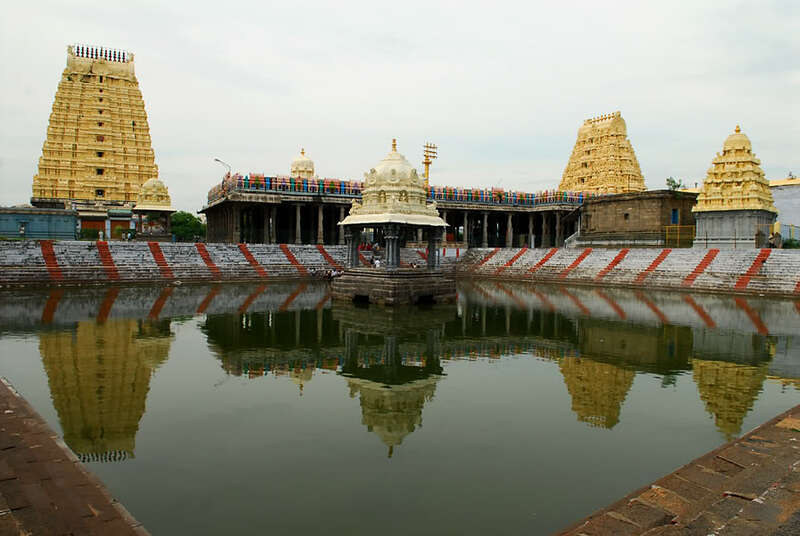 The temple is located in the city of Vellore, Tamil Nadu and spreads over an area of about 100 acres. 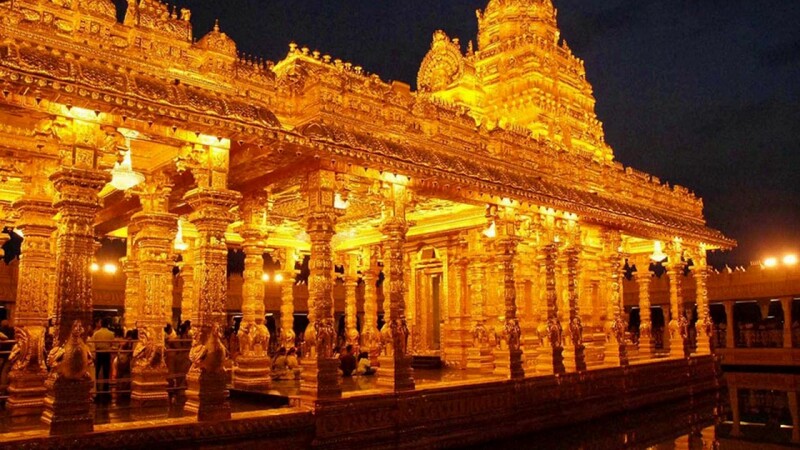 The temple is made of solid gold weighing more than 15 tonnes and costing more than 600crores. The temple is very eye appealing and as shiny as anybody can think. The temple is dedicated to the son of Lord Shiva, Kartekay who is also called Lord Murugan. Located in Thirumalaikodi, Vellore, this temple was built approximately 500 years ago. The temple has an idol of Lord Murugan and a peacock. The pilgrims believe that whatever they wish for is given to them by the Lord. The temple is famous for people who are looking to buy new property as they think the lord will help them buy it without any hassle. India houses a lot of temples and the most magnificent and beautiful ones are located in Tamil Nadu. The state has a rich cultural and religious past which is shown by the artifacts, buildings and the temples built by the most fierce rulers in the country.